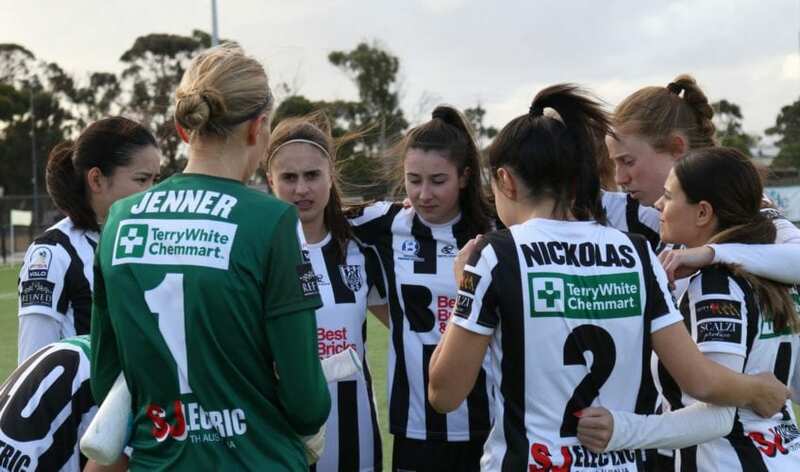 Adelaide City reaffirmed their position at the top of the table with a 5-2 win over Salisbury Inter in Round 4 of the WNPL. It was an impressive attacking performance at The Parks on a cold and windy night. Daniela Di Bartolo opened and closed the scoring exactly as she did in Round 3. It took just eleven minutes for her to open the scoring after some magnificent build-up play. Shortly after, Salisbury Inter were awarded a penalty and converted it. Tiarn Powell then restored City’s lead in the 30th minute with a low driven shot that beat the keeper. After impressing off the bench in recent weeks Yuka Sasaki marked her starting debut with a goal for the Black & Whites. Salisbury Inter then scored a looping header from a corner to mark the end of an eventful first half. The second half started slowly as both teams tried to take hold of the midfield. In the 69th minute, Daniela Di Bartolo scored her second of the night and ninth of the season – making her the WNPL top goal scorer. Just six minutes later Dylan Holmes danced her way around the penalty box with some fancy footwork and Chelsie Dawber was there to blast it past the keeper for City’s fifth. Another outstanding night for City in an enthralling attacking encounter. Adelaide City will be playing Metro United WFC in a top of the table clash at VALO Football Centre on Friday 5th of April at 8:15 pm. lCity draw in Grand Final re-match!